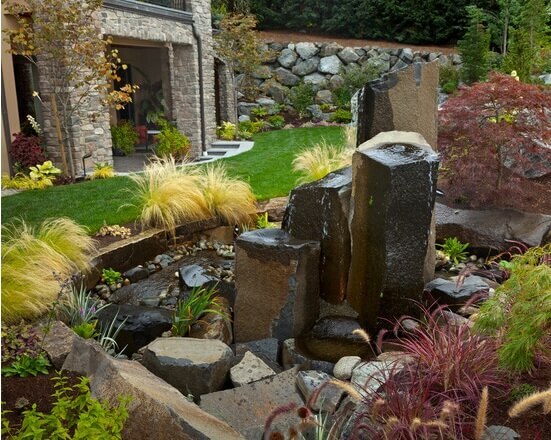 This pondless design was constructed primarily for aesthetic appeal. It includes a collection of rock boulders with moss that were painstakingly arranged at specific elevations to produce the sound of falling and flowing water. 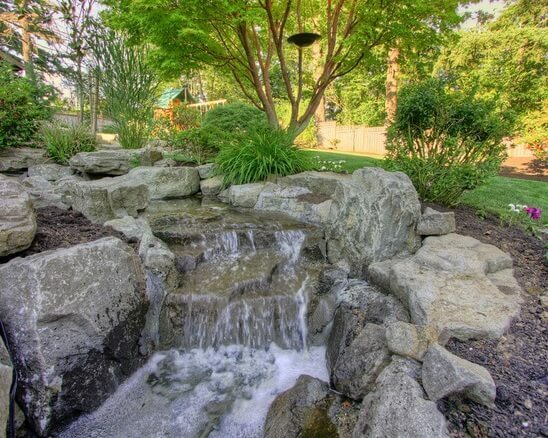 This is perfect for those that want bubble rocks without deep water ponds. This design is perfect for those living in the Southwestern U.S. or anyone looking for a Mexican style. 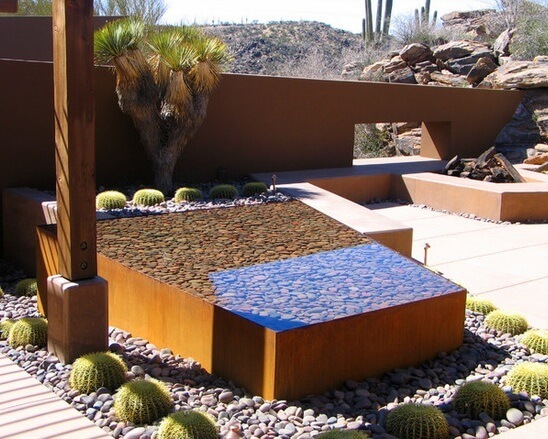 Water moves along the corten edges of the courtyard which are comprised of rusted steel, and flow down into a channel which is full of pebbles. The pool uses a fire pit which is trapezoidal in shape and the structure is designed to end flush with a gap of no more than a half inch between the seat made of cast concrete and the water surface. This particular design will require you to get rid of much of the grass and then install plants which are drought resistant. It incorporates a dining terrace which is raised along with screens for privacy. 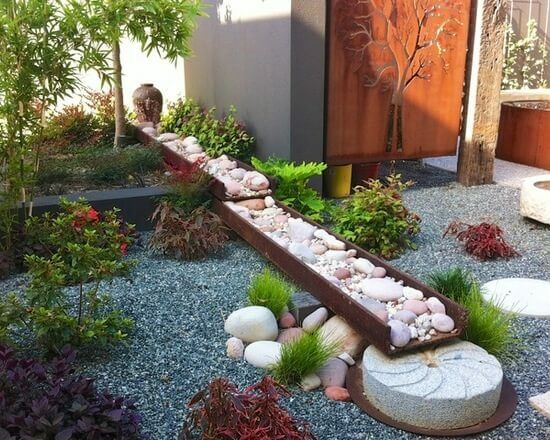 This is a very impressive setup that comes with stones that are slab cut with a foot bridge. An LED was installed beneath the bridge so that it provides a nice glow from below. It also uses an in-floor cleaner within the interior and along the edges. 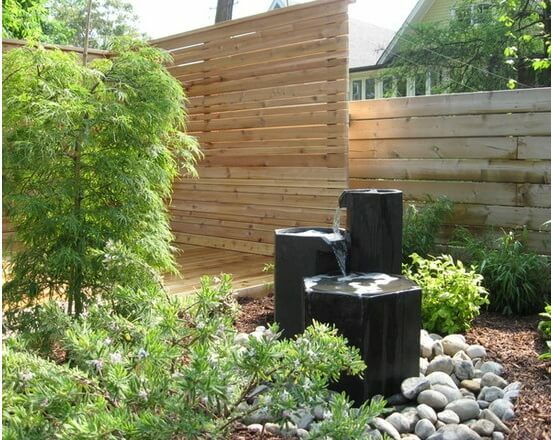 This design is inspired by the gardens of Japan and was constructed using a variety of herbs and plants which are housed within tanks that are made out of corten steel which has been weathered. A dry river bed was also added which is made out of mild steel parts which were recycled and artistically arranged along river stones. 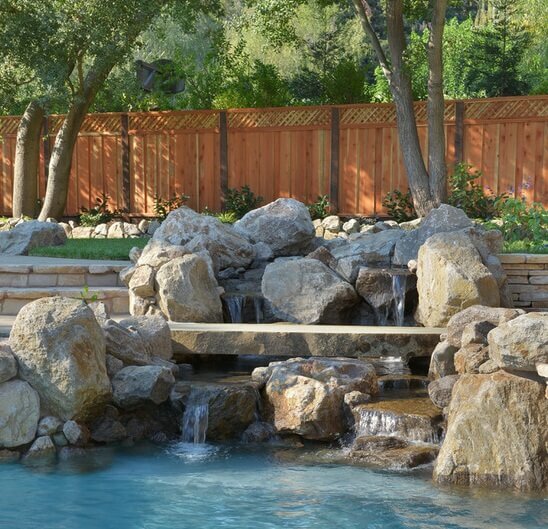 This is arguably one of the most elegant designs to be featured here, and is perfect for those with unlimited funds who want to install a bubble rock on their exclusive estate. It was arranged in a location near the entrance where ornamental trees surround it and is a wonderful way to greet visitors. It is made out of expensive materials. Those who designed this bubble rock arrangement were looking for a natural look. A great deal of thought was put into the water fall, the manner in which it flows and the sound the water makes. 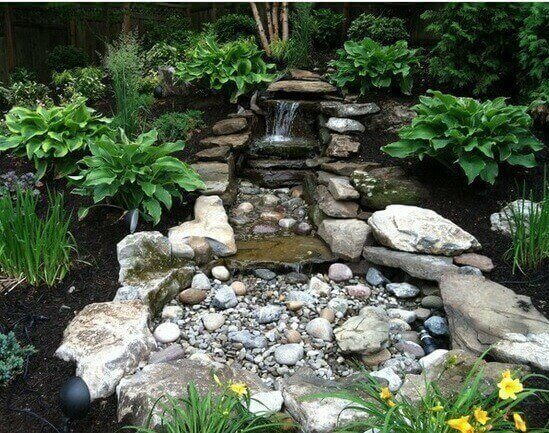 It is soothing, elegant, relaxing and inviting, which should make it the perfect source of inspiration for someone who is looking to design a pond or water garden for the first time. It is also designed in such a manner where light hits from just the right angles throughout the day.